Firstly check our Availability Calendar (<click it) for a date that is available to you. Once we have received your form we will contact you for full payment to secure your date, payments can be made over the phone using any debit/credit card or by BACS, dates will not be secured before full payment is received. "PLEASE NOTE NO DATE WILL BE SECURED UNTIL FULL PAYMENT IS RECEIVED"
Package 1, small mobile zoo - 1 hour, MAX 15 CHILDREN - £75.00. Package 2, full mobile zoo - 90 mins, MAX 20 CHILDREN - £110.00. Package 4, birds - 1 hour, LIMITED FOR UP TO 15 CHILDREN, NO EXTRA CHILDREN ALLOWED - £95.00. 30 mins extra time for up to 5 extra children or a break £15.00. 1 hour extra time for up to 10 extra children or a break £25.00. Owl £10.00 (can be added on to any mobile zoo package). How many key-rings would you like to order. Date & Time - If your date/time is not available we will contact you. Voucher code if you have a voucher. 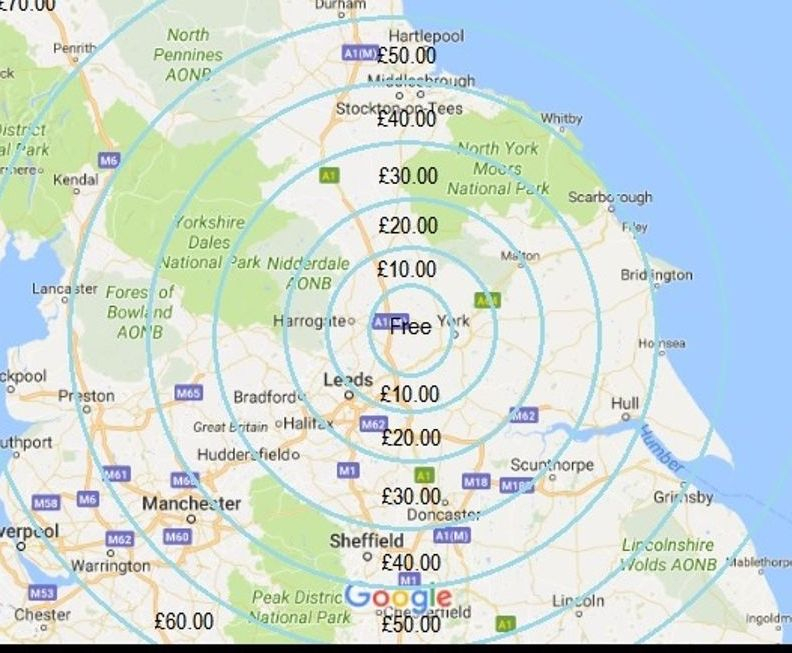 TRAVELLING EXPENSES APPLIES (CHECK MAP BELOW FOR ACCURATE AREA AND COST). Free £10.00. £15.00 £20.00. £25.00. £30.00. £35.00. £40.00. £45.00. £50.00. £55.00. £60.00. £70.00. Thank you for filling in our Booking form, if your date and time is available we will automatically invoice you, if your date/time is not available we will contact you to discuss what other dates/times we have available.